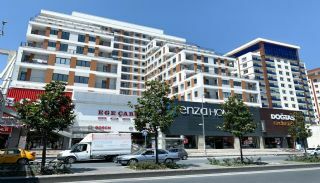 Apartments in Istanbul are situated in the busiest street of Esenyurt region. Esenyurt is one of the most preferred regions with many new investment opportunities. This region is rich in terms of shopping centers and hospitals. It hosts to a lot of branded housing project. Esenyurt stands in the middle of two international highways and two lakes of İstanbul. Istanbul apartments for sale close to all amenities like the school, hospital, bank, shop, restaurant, supermarket, park, public transportation and much more. These apartments on the TEM highway connection route are 22 km to the International Atatürk Airport, 7 km to the TÜYAP Congress and Exhibition Center, 3 km to the Aqua Dolphin Water Games and Entertainment Center, 4,5 km to the E-5 Highway, 15 km to Mall of İstanbul and 1,5 km to TEM Highway. Schools in the region: Private Esenyurt Sınav High School, Okyanus College, Bahçeşehir College, Bilfen Bahçeşehir Primary School, Private Boğaziçi College, Bahçeşehir American Culture College, İstanbul Akademi College, Bahçeşehir Doğa College, Beykent University Beylikdüzü Campus, İstanbul Gelişim University, and İstanbul University. Hospitals in the region: Private Esenşehir Medical Center, İstinye University Liv Hospital, Private VM Medical Park Hospital, Private Esencan Hospital, Private Reyap Hospital, European Medical Center, Elitium Surgical Medical Center, Mediplus Medical Center, Kolan Medical Center, Acıbadem Bahçeşehir Medical Center, European Eye Hospital, and Yeni Hayat Medical Center. 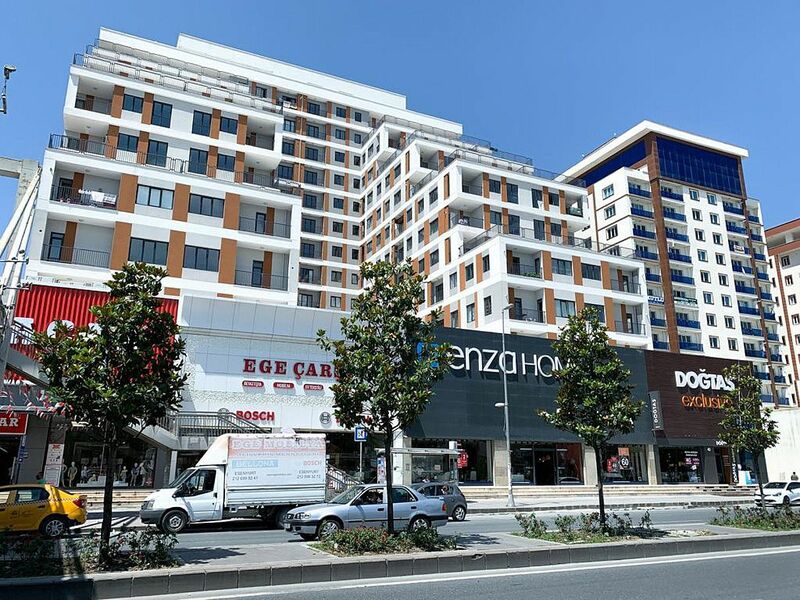 Shopping malls in the region: Demir Park AVM, Esenyurt N Merkez AVM, Akbatı, Torium Avm, Eskule, Prestige Mall, Acunkent, Han Plus, Sunflower Life Center, Parkway, Hillpark Bahçeşehir and Atrium AVM. Residential complex with single block has 28.000 m² construction area. It offers a comfortable life with convenient apartment plans consisting of 1+1 and 2+1 apartment types. There are 204 apartments and 8 commercial units. These apartments have indoor swimming pool, children’s playground, sauna, Turkish bath, fitness center, indoor and outdoor car parking area, tennis court, volleyball and basketball field, walking paths, green areas, shops, water tank, hydrofor, generator, elevator, caretaker, reception, closed-circuit video system, 24/7 security camera system and security. Some of these apartments have lake view and terraces with city view. All apartments equipped with best materials like the steel door, kitchen appliances, wireless internet, central heating system, video intercom, natural gas, central cable TV, central hot water, fiber optic internet infrastructure, heat cost allocator, satellite TV system infrastructure and shower.